One thing that often puts people off owning and running a wood stove is the amount of undercover space needed to store the logs properly away from the weather. It is possible, however, to store a winters worth of fuel in a relatively small outdoor space without the need for shelter all round. This can be achieved with pallets or similar. Pallets also allow a flow of air underneath which greatly helps to season the wood. There are also commercially available log stores which achieve this whilst looking neat. It is important to keep the top of the pile sheltered from rain, but the sides of the stack actually benefit from not being covered so that air can get to them to help them season. You do, however want to avoid them getting wet if you can by having an overhang on the top. 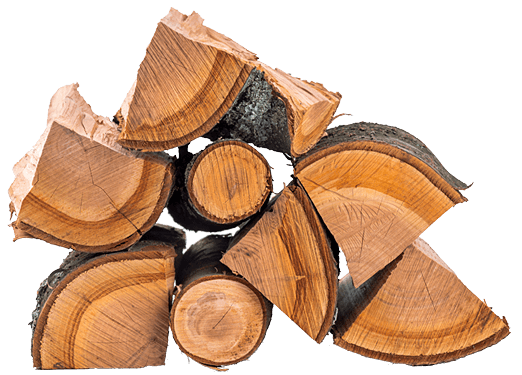 If a little bit of rain gets on the end grain, it won’t reverse the seasoning process because the log is constantly expelling water from the end grain. Without too much hassle, it is an easy task to build your own log store which is fixed against the side of your house. 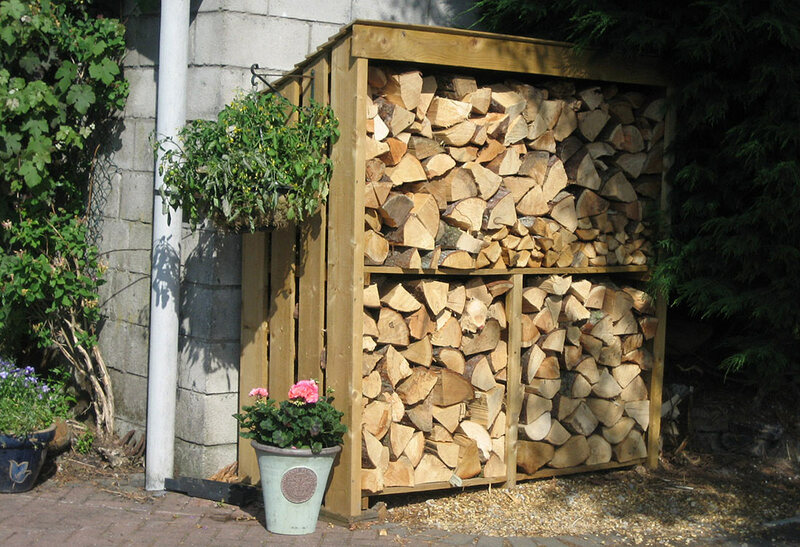 This can be tall and thin, allowing the logs to be stacked high, for minimum ground space usage. If you feel like your DIY skills are not able to complete such a task, you could always get a carpenter in for a day or 2. This would be a great investment, as it would ensure you dry logs for your fire for many years. Alternatively there are commercial log stores available in many different shapes and sizes, and you might just find one to fit your space perfectly. If you have the space around your wood burner, an extra seasoning boost can be achieved by bringing in some logs a few days before they are due to be burnt, and stacking them around the fireplace. Great care must be taken to not stack them too close to the wood burner, because if they get too close they could catch fire. Great care must also be taken to stack them in such a way that there is no chance of the stack collapsing onto the fire, as this would also result in the logs catching alight. It would be a good idea to have some sort of cage / rack system so that this could never happen, because if your wood burner is going nice and hot and a log outside falls to touch the outer surface, it won’t be long before you have smoke and maybe flames.